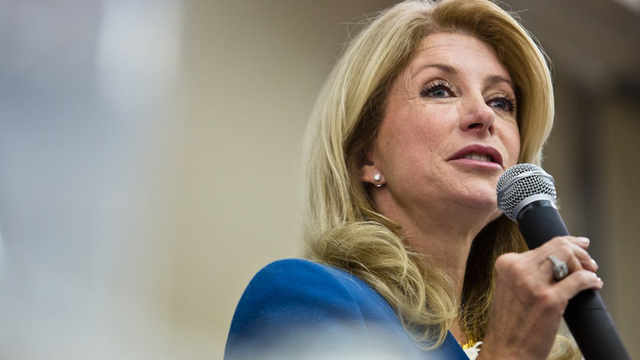 Saying she wants to expand Texas high schoolers’ access to technical job training programs, Democratic gubernatorial candidate Wendy Davis announced a plan to create a Career-Technical Coordinating Board. The plan is the latest in a string of education reform proposals from Davis. It also includes recommendations on college affordability and improving graduation rates. Davis promoted the proposal Tuesday at an event in San Antonio, saying she hoped to build cooperation among "local industries, community and technical colleges" in helping prepare Texas students for the the technical jobs of the future, according to the proposal. "At the very time when we need an educated workforce to lead the economy of the future, we need to put quality education within reach for Texas families," Davis said. The campaign of her Republican opponent, Greg Abbott, noted that Davis' proposal did not mention how much the plan would cost. “Sen. Davis continues to present talking points and press releases dressed as policy proposals that contain few details, lack any cost information and will grow the size of government,” said Amelia Chassé, an Abbott campaign spokeswoman. “If this were an assignment, her grade would be ‘incomplete.’ Texans deserve a leader that presents real solutions, not more slogans and fuzzy math." Davis said she would work with the Legislature to “find the resources in existing resources to be able to carry forth” the proposal. Education has been a common talking point on the campaign trail in the governor's race. Davis frequently mentions her 2011 filibuster to try to block $5.4 billion in spending cuts that lawmakers eventually made that year to public education. Though some of those funds were restored in 2013, Davis has continued to press the issue while taking aim at Abbott, who, as attorney general, has defended those cuts in court against a coalition of school districts. Abbott has proposed that parents should be allowed to more easily petition for changing the management of poorly rated schools. He has also discussed increasing parents’ access to school performance data, among other proposals. Davis' latest proposal also commits to "achieving full funding" for the TEXAS Grant program to provide financial assistance for students, as well as a sales tax exemption for college textbooks. "We made this state strong by investing in our schools and making them affordable," Davis said.